“The elephant in the room” – with this metaphorical idiom, James Powell, Senior Product Specialist Industrial Communications at Siemens, describes in his blog post ‘Is Profibus or 4-20mA More Accurate?’ in detail the issues with 4 mA … 20 mA signal quality that everyone is aware of, but nobody wants to talk about. Although it is generally accepted that the signal may degrade with 4 mA … 20 mA, many people simply ignore that fact, or simply accept the consequences because the degradation is hard to detect. That may be the reason why nobody sees the obvious elephant in their control room! Today, all field devices use digital technology. Operating with conventional 4 mA … 20 mA technology, this means that the devices have to convert the internal digital value into an analog value in order to transmit it, and then convert it back at the controller. Doing this, accuracy can suffer. In his blog, Mr. Powell demonstrates in detail the limits of accuracy associated with 4 mA … 20 mA technology as well as the total possible unknown errors resulting. 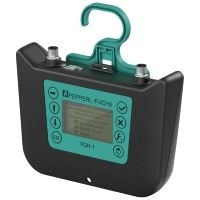 These inaccuracies can be avoided with digital fieldbus protocols such as PROFIBUS, PROFINET, or FOUNDATION fieldbus. Compared with conventional signal transmission, communication based on fieldbus is less prone to error. As shown in the figure below, the measurement signal is converted only once and directly in the field device. Falsification of measured values due to A-D and D-A conversions is eliminated.